It's made to last and it's truly the largest difference between the stuff you "can get" and the stuff you must have to change the way you compute. If it's not in the pictures, it's probably not included. 10 HDDs of 500GB storage capacity and 5400RPM rotation speed. Works Good with no issues at all 100% Tested. Just the drive as seen IN THE ACTUAL PICTURE. GREAT CONDITION. WD Black 500GB 7200rpm Hard Drive WD5000LPLX 2.5in internal 7mm OEM. Speed: 7200RPM. Capacity: 500GB HDD. Interface Types: SATA. 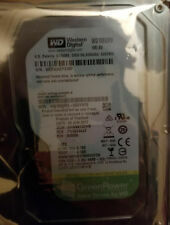 The Hard drive is sealed in isolation bag shown as the picture. WD Black hard drives are designed for enthusiasts and creative professionals looking for leading-edge performance. HUH728080ALE600 (0F23909). Model: HUH728080ALE600. P/N: 0F23909. Ultrastar He8. - Compared to 4TB Ultrastar 7K4000. SATA 6.0Gb/s. - SATA 6Gb/s and SAS 12Gb/s. - Distributed file systems like Ceph and Hadoop to support Big Data Analytics. Advanced Power modes help save energy without sacrificing performance. Bare Drive. The disks were lightly used for less than 6 months in a well ventilated server chassis. All disks are fully functional with good SMART numbers. You are looking at a used, but perfectly working,Seagate Barracuda Compute ST8000DM004 8 TB 256 MB Cache 3.5" SATA 6GB/s Desktop Hard Drive. SATA 6.0Gb/s. SATA 6Gb/s interface optimizes burst performance. DOD wiped and tested with SEATools. ZERO BAD SECTORS. Very good physical condition, may have minor scuffs or scratches. 1000 GB OR 1TB Western Digital 7200 RPM Hard Drive- With Microsoft Windows 10 Professional 64-bit Pre- installed. Storage Capacity: 1000 GB OR 1TB. This drive has the Microsoft Windows 10 Professional pre-installed. 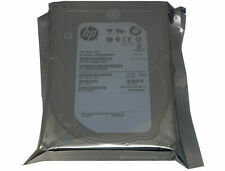 SEAGATE PART# ST2000NM0043. THERE IS 20 LOTS OF 10 HARD DRIVES AVAILABLE TO BUY. Seagate Barracuda ST2000DM001 HDD 2TB 2000GB w/ 64MB Cache 6Gb/s 7200rpm 3.5"
Great condition issues. lightly used. 4.5 out of 5 stars - Seagate Barracuda ST2000DM001 HDD 2TB 2000GB w/ 64MB Cache 6Gb/s 7200rpm 3.5"
127 product ratings127 product ratings - Seagate Barracuda ST2000DM001 HDD 2TB 2000GB w/ 64MB Cache 6Gb/s 7200rpm 3.5"
WD 1TB 10K WD1000CHTZ 2.5" SATA SFF Western Digital. EXCELLENT CONDITION! PULLED FROM WORKING SERVER. Item Condition: Grade B - The overall condition of this item is average. No power cable or cords included. Free Seagate DiskWizard software allows you to install 3TB, 4TB and 5TB hard drives in Windows without UEFI BIOS. SATA 6.0Gb/s. SATA 6Gb/s interface optimizes burst performance. Double your capacity and drive down costs with up to 1.25TB-per-disk hard drive technology. 1x Hitachi 3TB HDS723030ALA640 Hard Drive. Storage Capacity: 3TB. Interface: SATA lll 6Gb/s. Rotation Speed: 7200 RPM. 100% of Proceeds Support Tech Donations for People-in-need. Our great team provides refurbished technology; digital literacy and vocational training to as many qualified humans as possible. 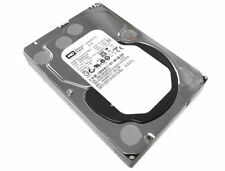 WD/HGST 10TB Ultrastar DC HC510 SATA 7.2K 256MB Hard drive 3.5"
How much storage is on an internal hard drive? An important factor to consider is what are the most commonly used and stored files on the computer. Those who work in photography, graphic design, architecture, video production, and similar professions should probably consider a larger amount of space. Gamers and music lovers with large collections of files would also do well to consider a large amount of space. Those who use their computers for office work and primarily deal in word-processing documents, spreadsheets, and similar items, none of which take up as much space as video or image files, may be able to function just fine with a lesser amount of space. How do you choose a hard drive? Interface: A PATA drive is recommended for an older system with no SATA interfaces. If the system you mean to upgrade or repair has SATA interfaces, choose a SATA drive. Appropriate capacity: It's important to have an idea of how much space you need for the type of work you intend to do on the computer. If you don't need the highest amount of space, you can easily go lower without sacrificing quality. Transfer speeds: One important factor in consumer-level hard drives is revolutions per minute or RPMs. Higher RPMs equals a faster rate of transfer of data back and forth from the drive. A larger cache: To increase performance, disk drives use buffer memory or cache. The more cache is available, the better the performance of the system. Noise level: Pay attention to the power that the drive uses. The more power used by the drive, the more heat it will produce. That means the exhaust fans must work harder to keep the heat level down. The noise the fans make in keeping the temperature even should be considered when you're selecting the correct drive. If a quiet computer is ideal, select a low-power hard drive. RAID stands for Redundant Array of Inexpensive Disks. It refers to a group of methods that spreads data across several drives at the same time, speeding up the drive and keeping the data safe.